Traveler Reviews for Private Tour in Amsterdam, Netherlands by Tour Guide Walda B. We all enjoyed our city walking tour with Walda. Her enthusiasm, knowledge and love of the city was infectious. The pre planning and communication was stellar. It resulted in a customized tour memorable to our group. Thanks Walda!!! Fantastic tour with an enthusiastic art historian. Walda is fantastic!! We got so much more information than we would have on our own. Due to the efficiency of the tour we were able to see a lot in a short period of time. The private canal tour was well worth it. Thank you Walda for a great day in Amsterdam. Awesome well organized tour. complete with fast passes for the Art museums. she even arranged a private boat tour which was one of the highlights. She knows her subject matter well. choose Walda! Walda guided us through the Rijks and Van Gogh museum. Her level of knowledge was exceptional yet she was able to speak to a group with a wide variation in their knowledge of art and history. After every guided tour of our 2 week European trip, we kept commenting that Walda was still the best guide. Highly reccomend Walda! Walda was an amazing guide! She made the history and art of Amsterdam come alive for myself and my five friends. Would highly recommend Walda for your visit to Amsterdam. Walda took us to the museums and knew where to find the best and most famous art. She also helped us get a reservation at a stellar restaurant. This is a great tour that includes a canal ride (that was my favorite part). Don't miss this one! Walda was amazing. I loved my tour of the Rijks Museum and the Van Gough Museum. I had the best boat in Amsterdam to tour the canals. She also planned a lunch at a Michelin star restaurant. I couldn't have asked for anything more. We were three women in Amsterdam celebrating a big birthday and had very specific requests regarding visiting artists, design studios, short museum visits, and good shopping. Walda went out of her way to organize a tour that met our specific requests. The day was was great: Well planned and organized. She made it special with a few surprises, private tours, and unique places. She speaks english very well, is kind, patient, flexible, and very knowledgeable. No hesitation to give her a 5 star rating! Wanda was a wonderful guide. On time, courteous and very knowledgable. I would recommend here for any tour she says she has an expertise in. Wow! Our group wanted a special experience at the Van Gogh and the Rijksmuseum and Walda really delivered. She made the masterpieces really come alive with her insights and subtle observations that only an art historian can deliver. The pace was perfect and her ability to educate us without inundating us with too much information was magical. I had been to the Rijksmuseum before with the audio guides, but there is absolutely no comparison. Go with Walda and really appreciate art in a special way. Walda's expertise as an art historian made our tour of the Rijksmuseum & Van Gogh Museum very special. Even my spouse who has two degrees in European history appreciated the extra insights Walda brought to understanding the fabulous art we saw. Walda is knowledgeable, kind, and easygoing... things that make her a great guide. We had a wonderful day at the Van Gogh Museum and Rijksmuseum. She was patient and worked with us to make sure we saw everything we wanted to see. I highly recommend her to anyone looking for a guide in Amsterdam! I love art ... my husband loves history. Walda covered both, providing us with an energetic, engaging discussion of the lives of Van Gough and Rembrandt, as well as details re: their unique styles of art. Everything was well planned, including finding a terrific restaurant for my many food allergies. Yet, she was willing to "detour" when we wanted to "add" a site! She's delightful, a joy to be with for the day! 100% recommend! Our tour with Walda was excellent. We spent a full day with her and really enjoyed the combination of her in-depth knowledge of art history and her thoughtful analysis of its impact on the culture of the Netherlands, both yesterday and today. She has a very nice way of presenting the personal stories of the artists and their influence on society, without getting too far down into the details. Lastly, and just as importantly if you are going to spend a day with someone, she is a very nice person. Walda is an excellent guide! She guided us on a tour that included Rijksmuseum, Van Gogh Museum and walking tour back toward our hotel. Her English is excellent, the pace was just right and her knowledge about the masterpieces is extensive. I strongly recommend Walda. Had a great time and we had one teenager and one child with us. Walda makes sure that her tours are interesting for everyone in the group. The tour was tailored specifically for us, and Walda was a wealth of knowledge. We were able to see and experience all that we had hoped. She is fantastic! Canal cruise, Rembrandt House and walking tour under her expert guidance. Casual, friendly and accommodating to our requests and questions. She is an enthusiastic teacher of all things Dutch. Walda is very knowledgeable about both art and history. She gave us a wonderful tour of the major museums. Walda was one of the best guides we have had on our European journeys. She is a pleasure to be with and extremely knowledgeable of the history of the Netherlands. The tour never felt like we were just following the regular tourist traps at all. I highly recommend Walda. It was a fantastic tour. Walda is extremely knowledgeable, flexible, and a pleasure to be with. Excellent Guide. Very well informed, and fun to be with!!! My wife and I had a spectacular day. We got exactly what we had hoped for. Walda is an absolute treasure, and she shared her knowledge and enthusiasm with us. 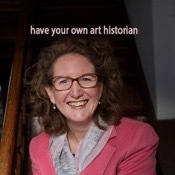 I'm sorry , only one word to describe Walda WOW .This woman really knows her art and will bring you to new levels of knowledge about art , its' painters , their historical reference and relationships. She is witty , charming , knowledgeable and a perfectionist about her craft . The only downside is we couldn't bring her with us to other cities on our trip. She knows EVERYTHING about Amsterdam , the Netherlands and all thing Dutch. Wonderful experiences. Walda was wonderful. Not only was it a bonus to have skip the line tickets at the Van Gogh & Rijk museums, but it was great having an art historian take us through the museums to be able to point out all the nuisances within the paintings that we may not have noticed. Plus, we didn't need to get an audio guide which can't answer questions. She was so knowledgable and allowed us to move at our own pace through the museums. Her passion for the artwork, artists, and the city made our tour one of a kind. Walda is an excellent guide. Her wealth of knowledge made our tour very enjoyable. Her help and kindness in helping us tour with a mobility scooter was greatly appreciated. Walda was amazing! We had a varied group from a 9 year old to older adults and she made sure all of us were happy, educated, informed, and entertained. She was very responsive to emails and personal requests. Everything was seamless and we bypassed lines at the major museums. We can't wait to book her again next time we're in the area. Walda was wonderful, as a person and tour guide, and especially supplying her knowledge of the paintings in the Van Gogh Museum and Reijksmuseum. Her getting "front of the line" tickets for these museums and getting a "timed" tick for the Anne Frank house saved much time and made for pleasant visits. The canal boat cruise was great, also. Wanda is a warm, wonderful person who will go out of the way to help everyone enjoy their time with on the tour. Walda was a very knowledgeable guide. She showed me around the great art collections of Amsterdam with enthusiasm & made the whole tour very interesting. She showed me the most important works. I thoroughly enjoyed my time with her & would recommend her to anyone visiting the city. This was such a fabulous tour. Walda is extreamly knowledgable and a wonderful storyteller. She made my understanding of the art richer. Plus she's an appealing, friendly person. Hello, I availed the services of toursbylocals.com for my Netherlands trip on 10th and 11th of April 2016. Our guide was Walda. She was very prompt at her arrival and the itenary as per my request. She was ready to modify the travel as per the request. Her knowledge about the history of the place is commendable. I wouldn't have known so much about the paintings in the Museums if she were not there to explain. Walda provided a very informative and hospitable tour. Having a private guide let us discover many things that we would otherwise have missed. Walda was friendly and helpful. I'm a HUGE fan of art history; specifically the majestic Dutch Golden Age paintings of the 17th & 18th centuries. Though my husband appreciates art, he is not nearly as interested. After evaluating information and reviews, I chose Walda (brilliant & VERY friendly art historian) as our guide. We had THE MOST AMAZING day walking through Amsterdam; visiting 3 museums & lunch at a fabulous restaurant all while learning amazing information regarding the rich history of the Dutch. THANK YOU, WALDA!!!!!! Walda is a wonderful guide. 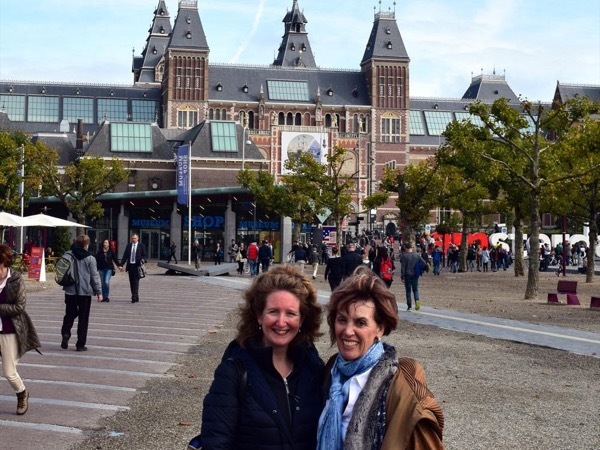 We have visited Amsterdam 9 times over almost 40 years and the information and insight Walda provided was so educational and our tour was the highlight of our 2015 visit. We highly recommend taking a tour with Walda. This was our second full day with Walda, and we continued to be entirely satisfied with her. She drove us in her own car to The Hague and Delft where we toured with her able assistance.